In this fast-paced global economy, we are all striving to keep up with business demands for more complex and new applications that give our company competitive advantage in a way that is most cost effective. Organizations need to prioritize and focus on their core competencies in business, develop further their product/service offerings, win and maintain customers and ultimately, improve profitability. Some companies handle application maintenance internally while others look for a third party to manage their business intelligence applications. 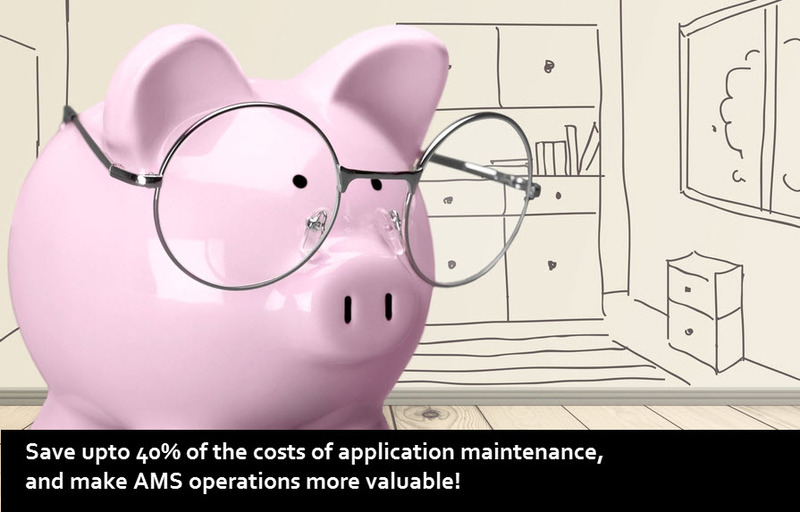 Application Management Services (AMS) is a process of managing the operation, maintenance, versioning and upgrading of an application throughout its lifecycle. AMS includes best practices, techniques and procedures essential to a deployed applications optimal operation, performance and efficiency throughout the enterprise and back-end IT infrastructure. Teklink, an expert in analytics for business intelligence applications, offers best practices, techniques and procedures making business intelligence applications run smoothly and meet business reporting demands efficiently. We don’t treat all applications the same adding value with a cost savings to our customers with analytics! Click here to view the “Building a World Case AMS Operation” archived webinar with a TekLink customer, an American worldwide manufacturing company producing specialty components for the aerospace, transportation, and energy and industrial markets, to find out! Click here to learn more about effective management of enterprise applications and here for more information on TekLink International, your trusted analytics and planning partner.